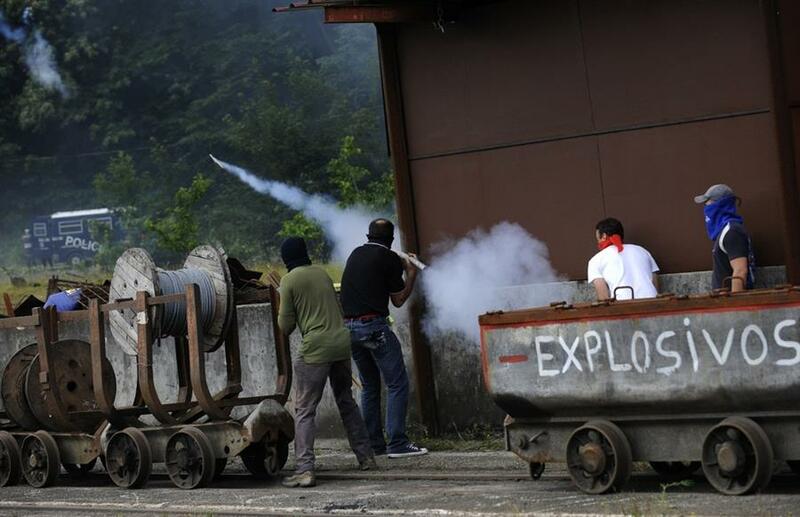 4/7/12 Coal miners fire handmade rockets during a clash with the Spanish national riot police at the “Pozo Soton” mine in northern Spain. 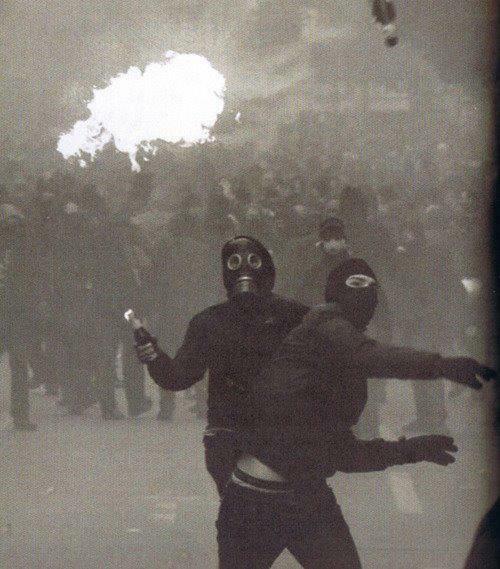 5/7/12 From Greece, the country that gave us the word anarchy. 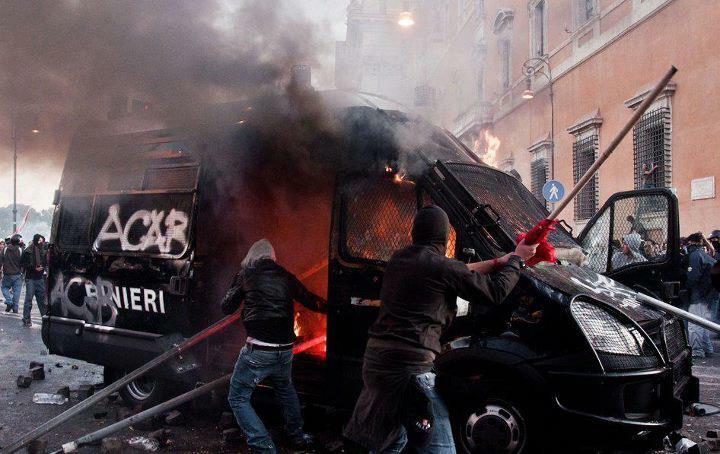 This entry was posted on 12 July, 2012 in homepage, Uncategorized and tagged anarchy in Spain, Explosivos, Pozo Soton mne, World Riots 24/7. Bookmark the permalink.